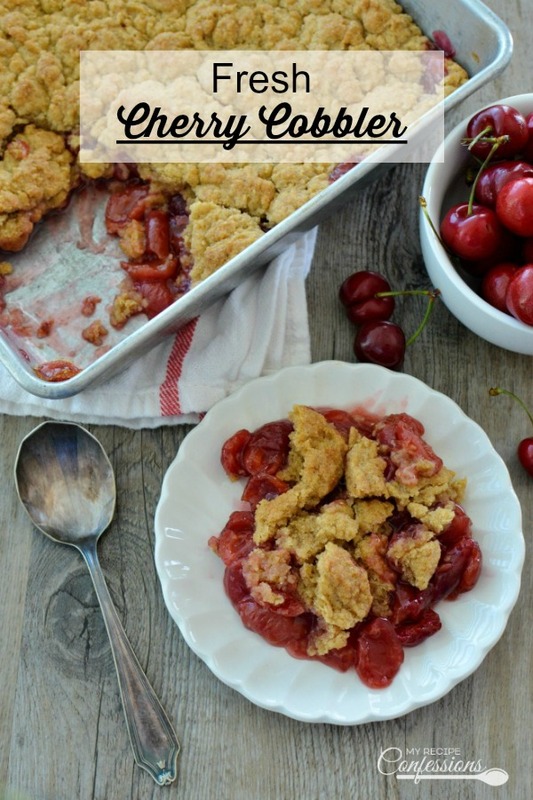 This Fresh Cherry Cobbler is over the top amazing! It is bursting with fresh cherry goodness. The topping has a cakey center with a slightly crisp and sugary top. 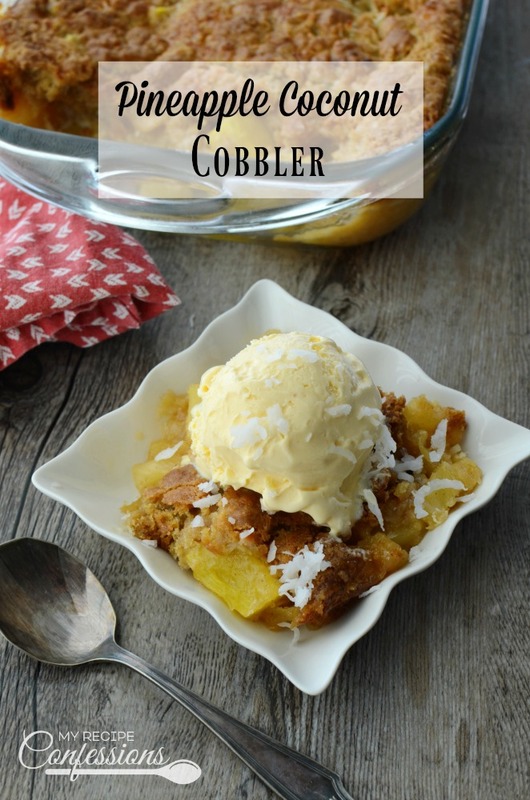 This cobbler tastes just like the old fashioned cherry cobbler your grandma use to make. Believe me, it’s life changing! I have been waiting to share this recipe since last Spring. I made this fresh cherry cobbler last year at the end of cherry season. 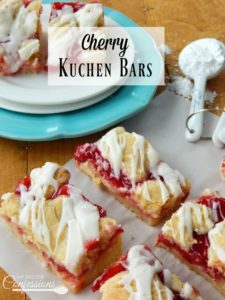 It would have been pointless to share the recipe with you at that time because you wouldn’t have been able to enjoy it without the fresh cherries, but now you can! 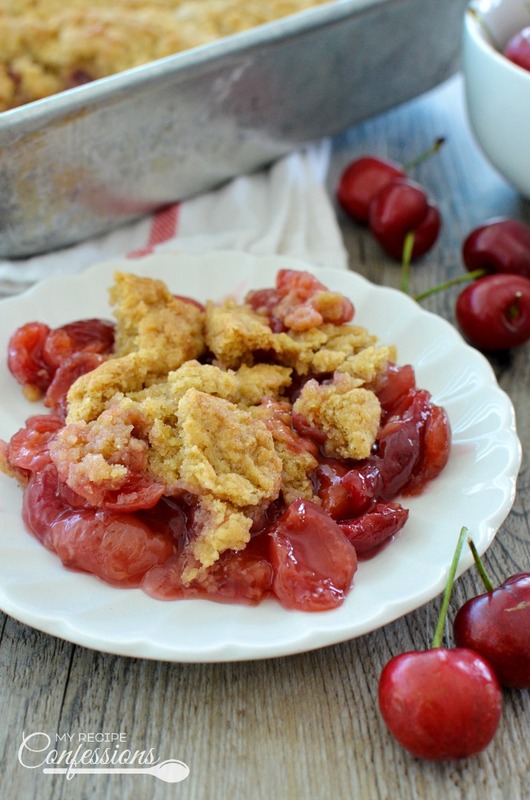 This mouthwatering fresh cherry cobbler would not be as easy to make without my cherry pitter. I’m sorry, there was no way I was going to cut each cherry in half to remove the pits. That is way too much work! Work is one word I would not use when describing this recipe. It is super quick and easy to make. The cobbler topping is just as easy to make as the filling. When making the topping, I like to cut the butter into the dry ingredients with my trusty pasty blender. You can use a food processor instead but, I like the texture of the topping when I use the pastry blender. 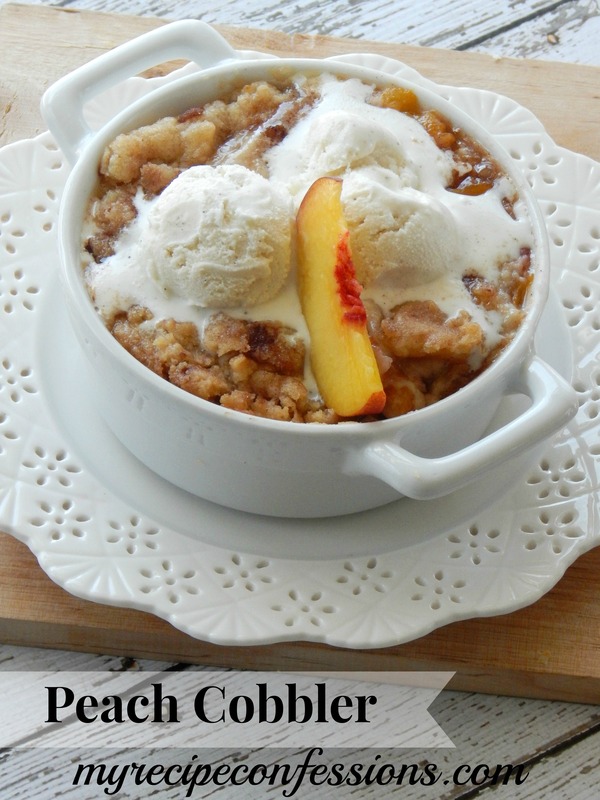 I love to eat this cobbler fresh out of the oven with a scoop of vanilla ice cream on top. Of course, a generous dollop of whipped cream is pretty amazing too! The following links are affiliate links which means I receive a commission if a purchase is made. Stir all the filling ingredients into a large sauce pan or pot. Cook over medium-high heat on the stove top and stir until it starts to simmer. Simmer for 3 minutes. Remove from heat and pour in a 9 x 13 pan. In a large bowl, mix the toppings dry ingredients. With a pastry cutter, cut the butter into the dry ingredients and stir until it resembles course cornmeal. Add the boiling water and continue to mix until well combined. 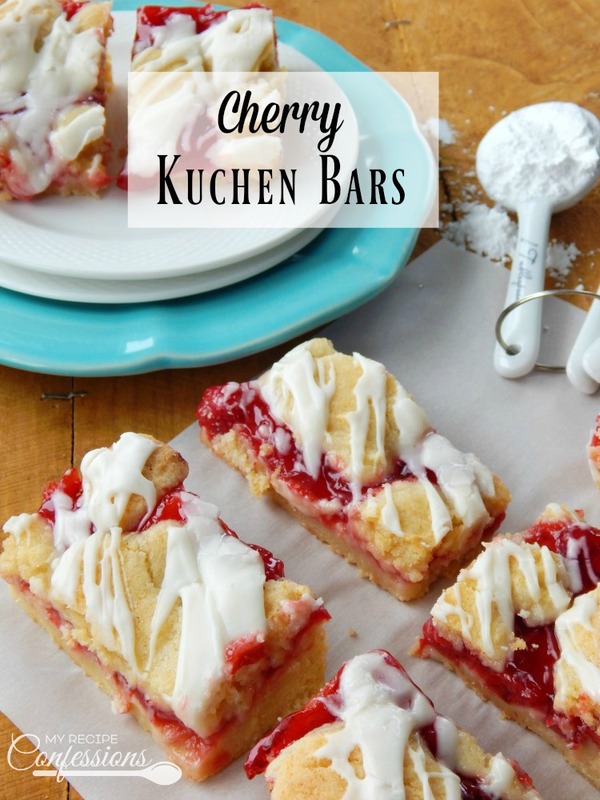 Evenly drop spoonfuls of the topping over the cherry filling until it is completely covered. Place the cobbler in the oven and bake for 20-25 minutes or until it is lightly golden. Serve with French vanilla ice cream or whipped cream. Here are a few other mouth watering recipes you need to try! Thank you for all of your efforts! My family has loved the recipes I’ve made. 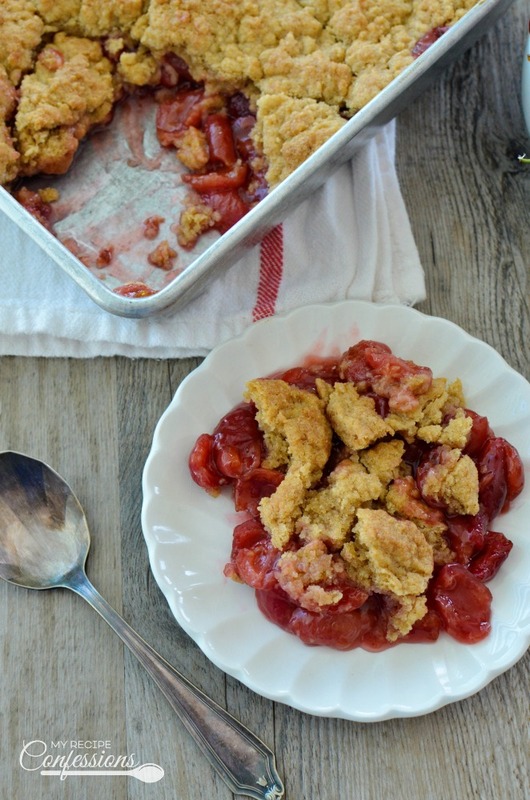 I’m excited to make the cherry cobbler…need to find fresh cherries. ???? Thank you so much! I am happy to hear that your family is enjoying my recipes.